Maher Mahmoud is a Syrian composer and oudist. He was born in 1986 in Salamiya -a city in the middle of Syria- and lived in Damascus until 2012 when he briefly moved to Jordan. In 2013 Maher moved to Denmark, where he presently resides. 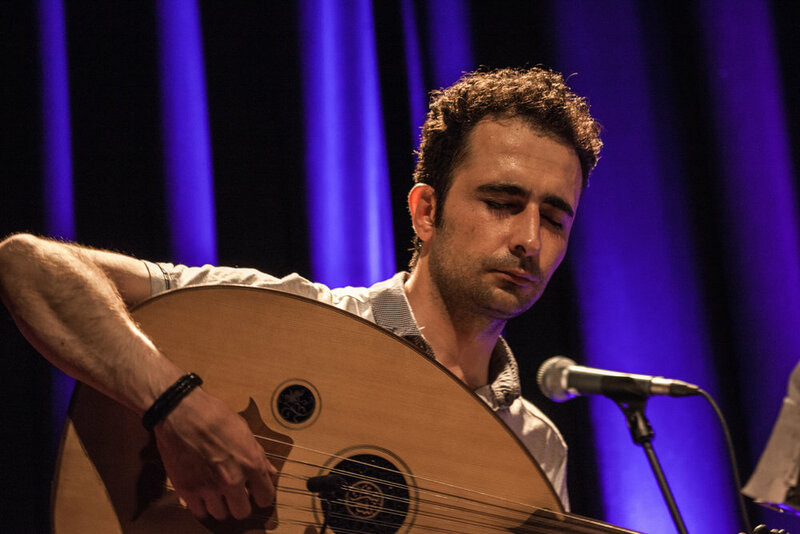 Since 2009, Maher has worked with different bands and artists in Denmark, UK and around Europe – among others are Damon Albarn and Brian Eno, Berlin Chamber Orchestra, Dunia Ensemble, The Syrian Expat Philharmonic Orchestra, EU.Terpe Orchestra, Dicte, JSO Bremen-Nord Philharmonic Orchestra, The Orchestra of Syrian Musicians, RUM band, Blood-Sweat-Drum & Bass big band, S. Møller Big Band, Art Ensemble Syd, Listen! Trio, Nouri Iskandar String Quartet, Li Dine, Simon Spang-Hansen & Middle Earth, Jiraan, Grænseløs, Jovan Pavlovic Trio and many others. His debut album Mirage was released in 2010. The Syrian Culture Caravan - popup show at CPH st. 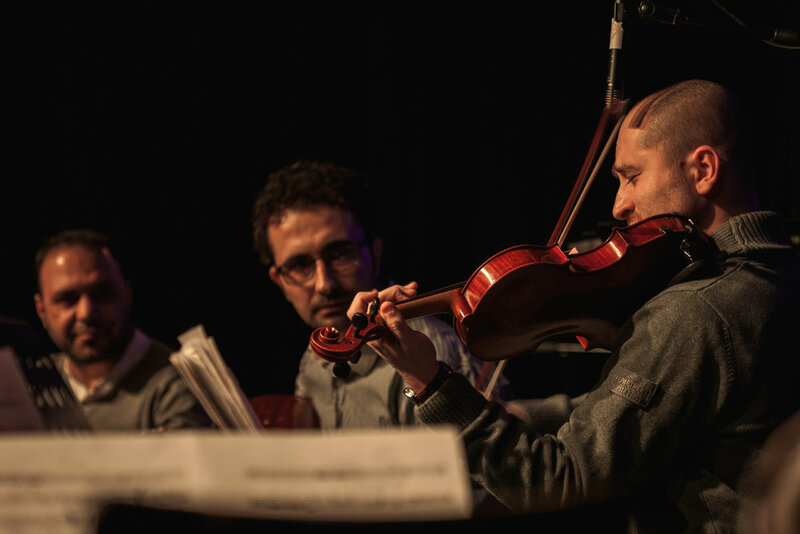 The ensemble includes Syrian musicians who studied together previously at The Higher Institute of Music in Damascus and used to be members of the Syrian National Orchestra for Arabic music. 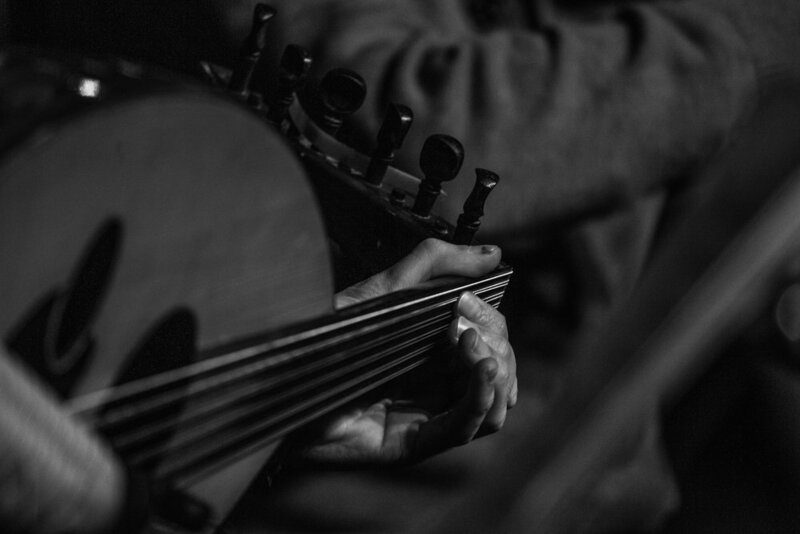 The musicians play different styles of music range between Syrian classical, traditional, and folk music. Maher Mahmoud -composer and oud player- leads the ensemble. In 2015 He started reassembling the group in cooperation with the known Danish musician Morten Carlsen in Denmark, where they met the first time after few years of separation. 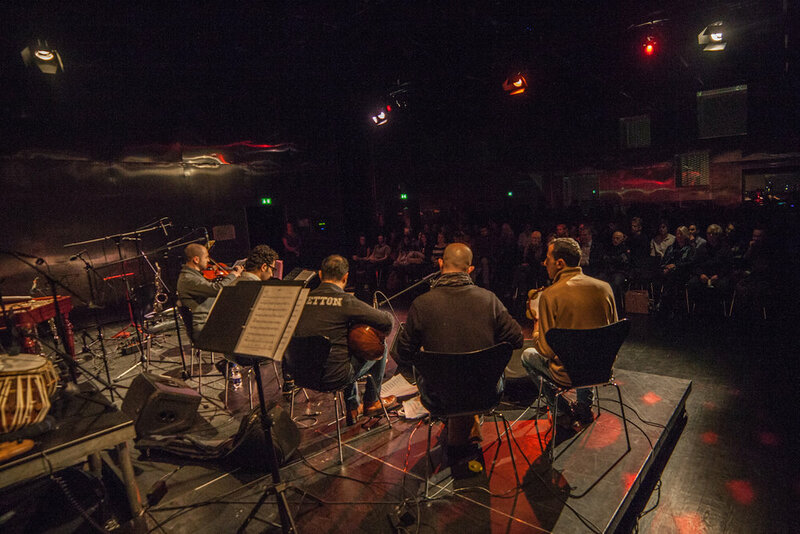 Carrying many new experiences they played different events and concerts within The Syrian Culture Caravan (2015, 2016, 2017) in Denmark: Copenhagen, Aarhus, Roskilde, Hjørring, Odense, Køge and many others. 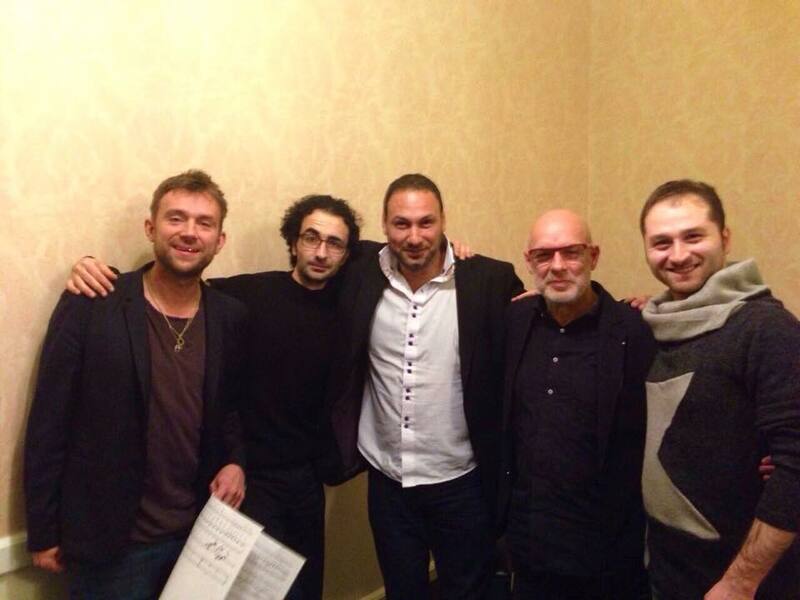 Beside playing in Denmark, they have been touring in Europe and UK with Damon Albarn, The Orchestra of Syrian Musicians and The Syrian Expat Philharmonic Orchestra. 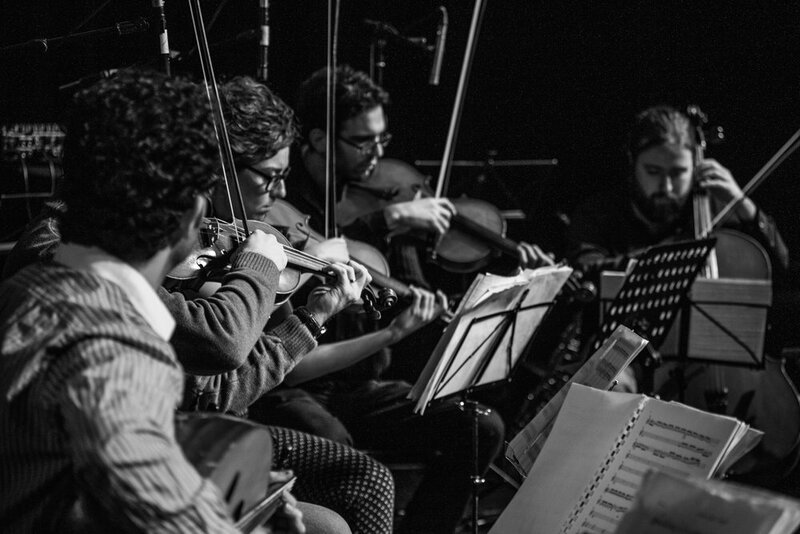 The ensemble plays original compositions and other works belong to Syrian classical and traditional music, in addition to different contemporary works by Syrian composers. The band 'Dunia' is creating new music with a palette of sounds from instruments like cimbalom, tablas, oud, bass, guitar, trombone and woodwinds. As the nine musicians of highly diverse musical and cultural backgrounds met for the first time in December 2013, we didn't know its potential. After touring in 2014 the group can look back at an overwhelmingly positive reception from audiences and venues. Expectations were exceeded and we are proud to present this album.